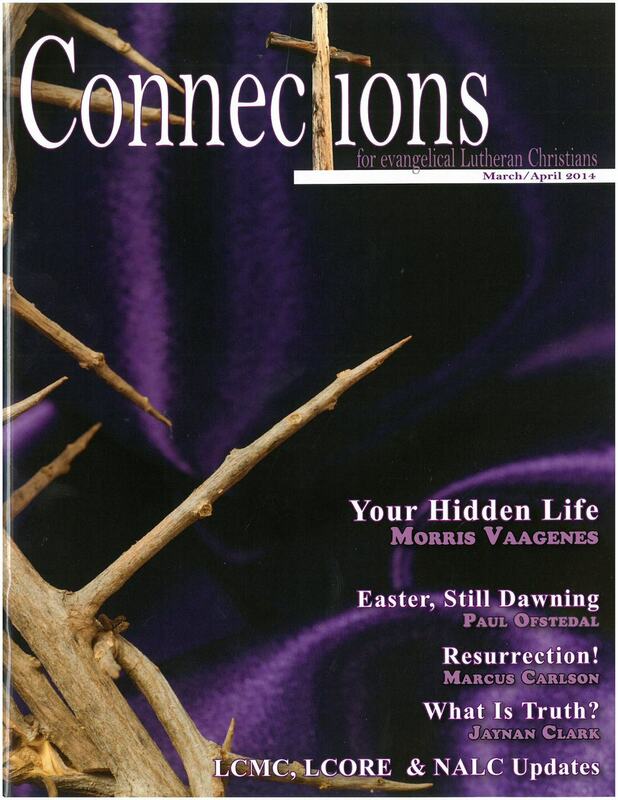 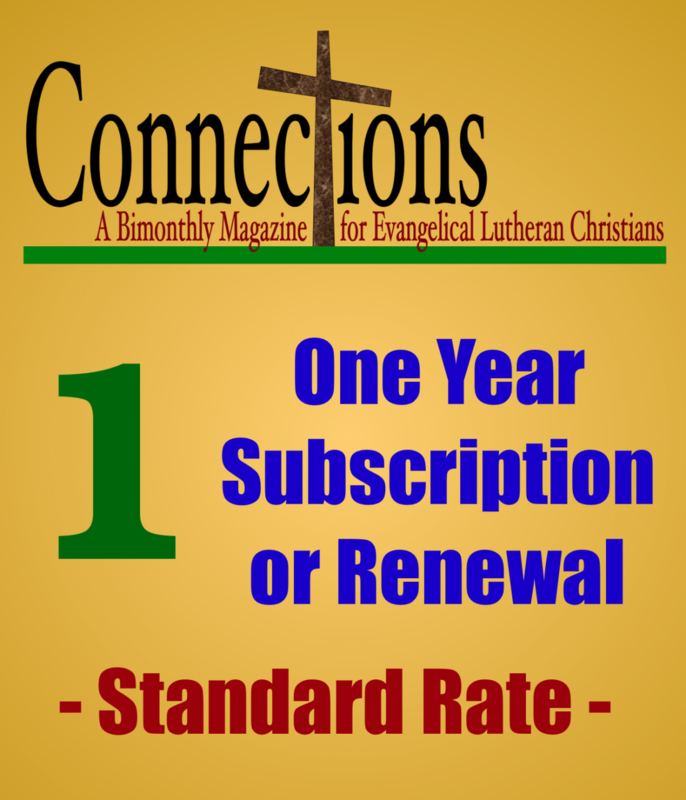 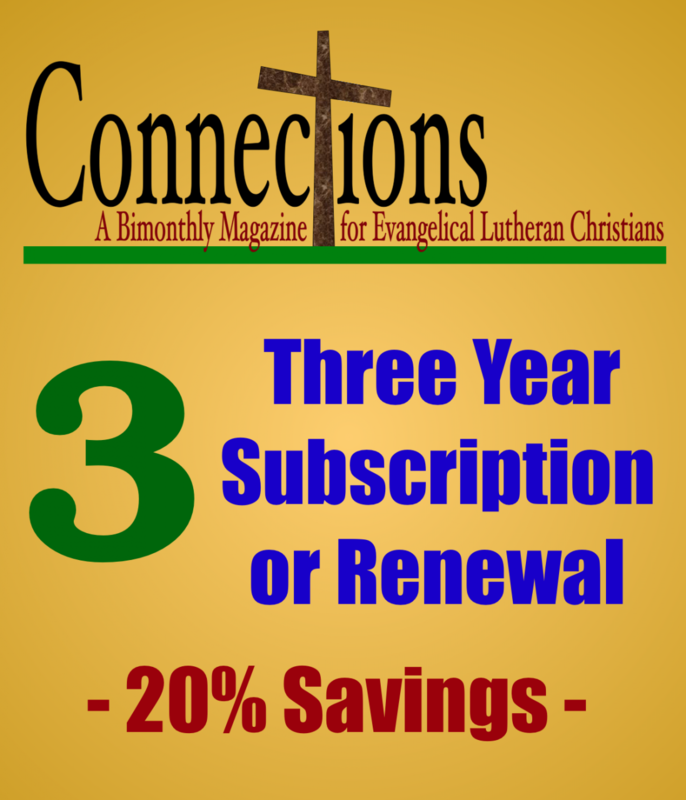 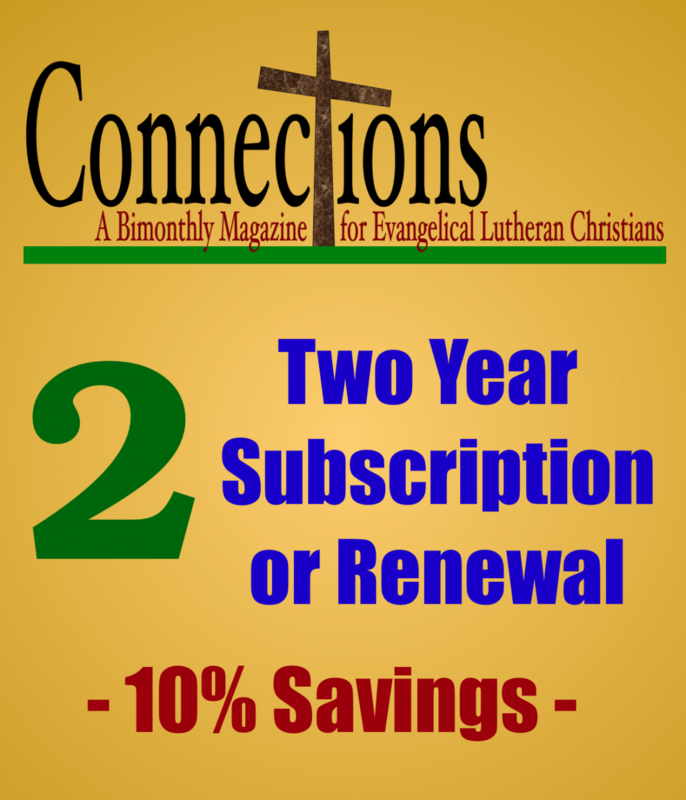 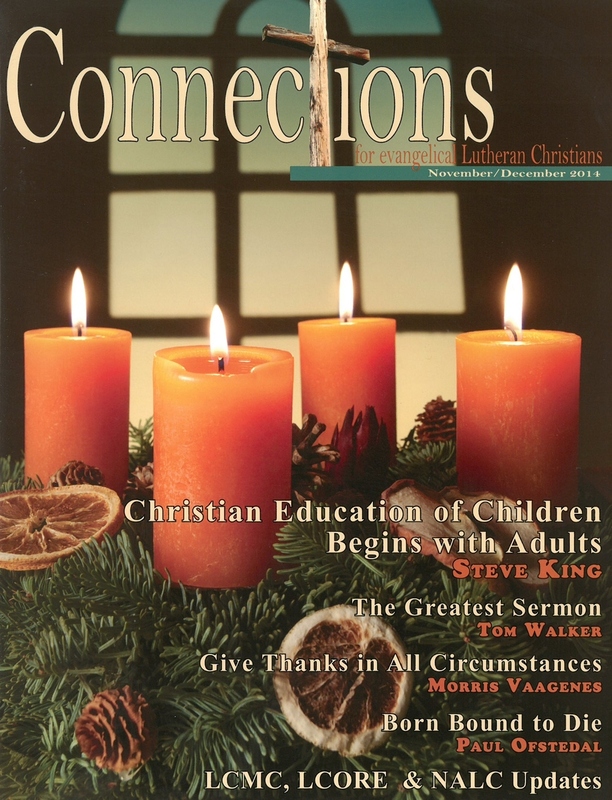 A magazine for evangelical Lutheran Christians that is designed to help everyday disciples grasp and teach the faith. 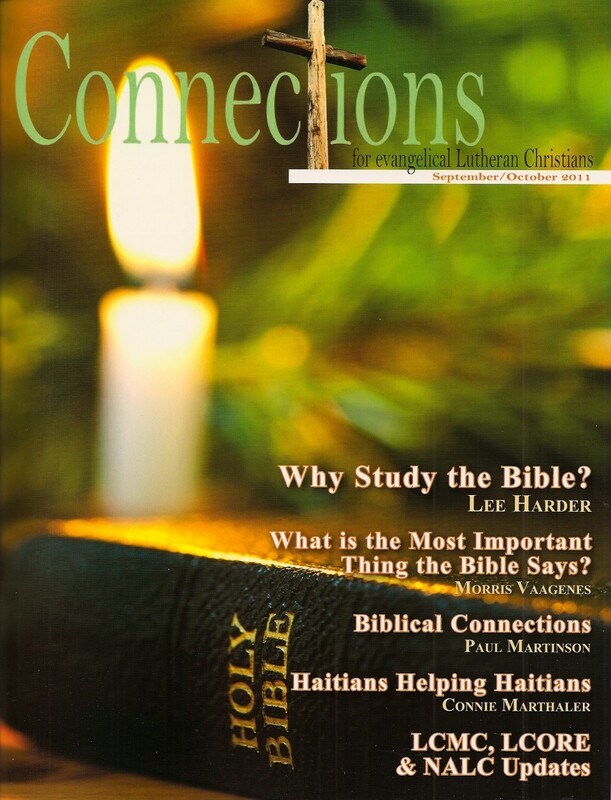 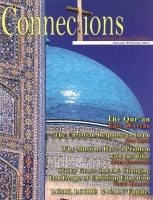 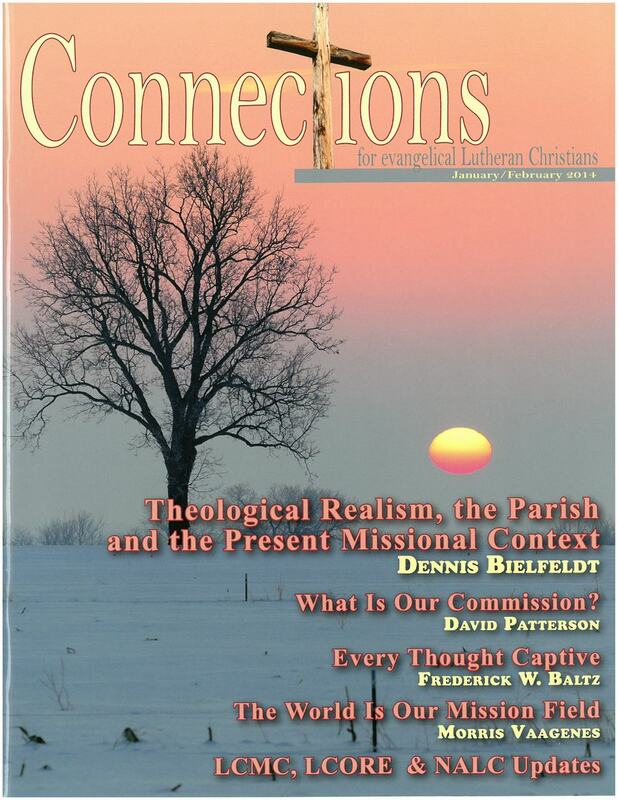 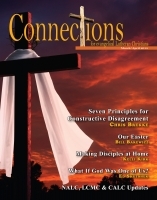 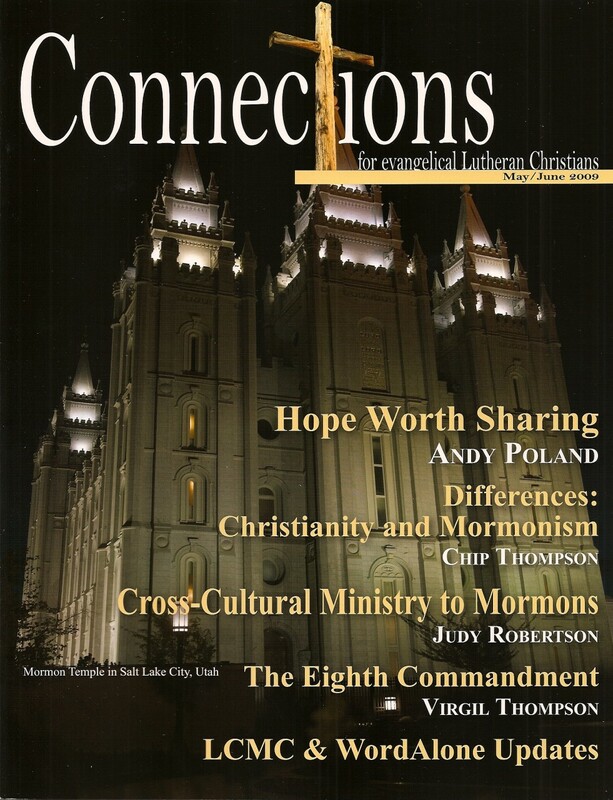 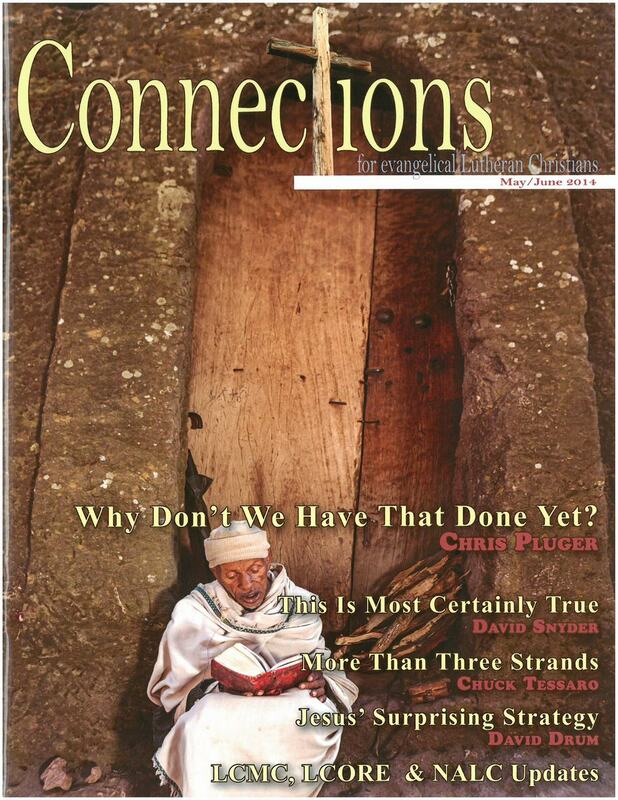 Filled with meaty articles as well as lighter spiritual fare, Connections provides great food for the soul. 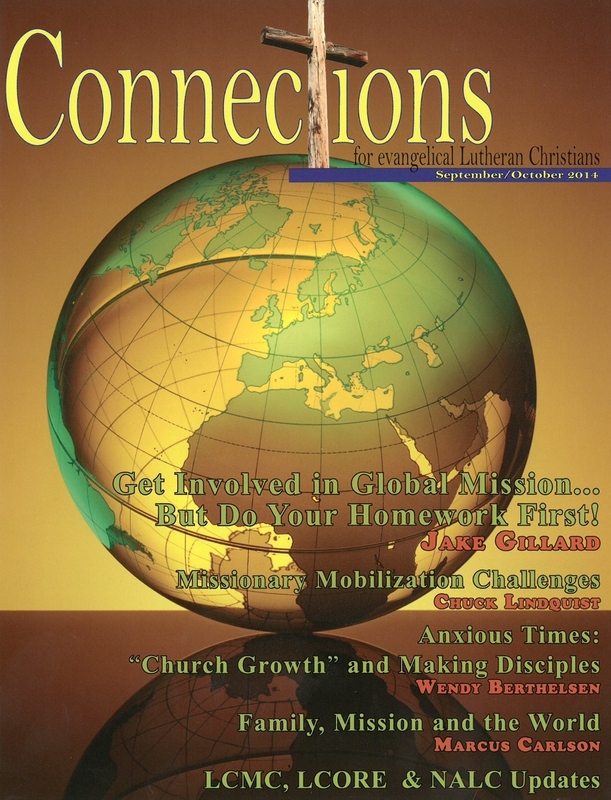 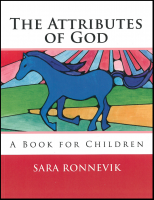 It features Bible Studies, devotional resources, children's pages, and news from the mission field. 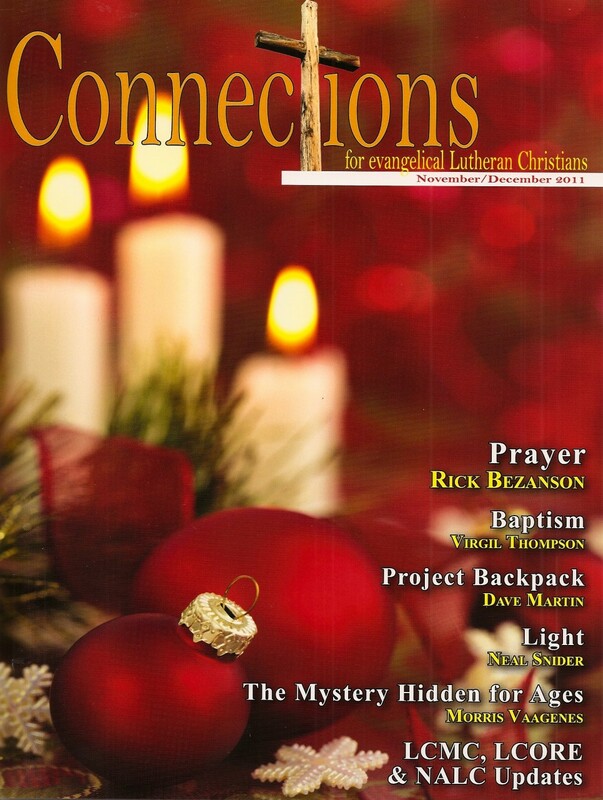 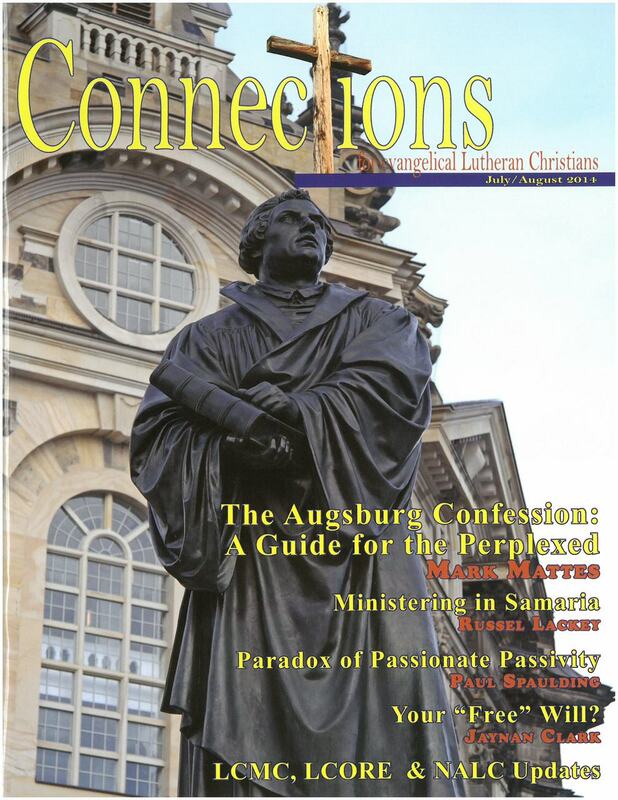 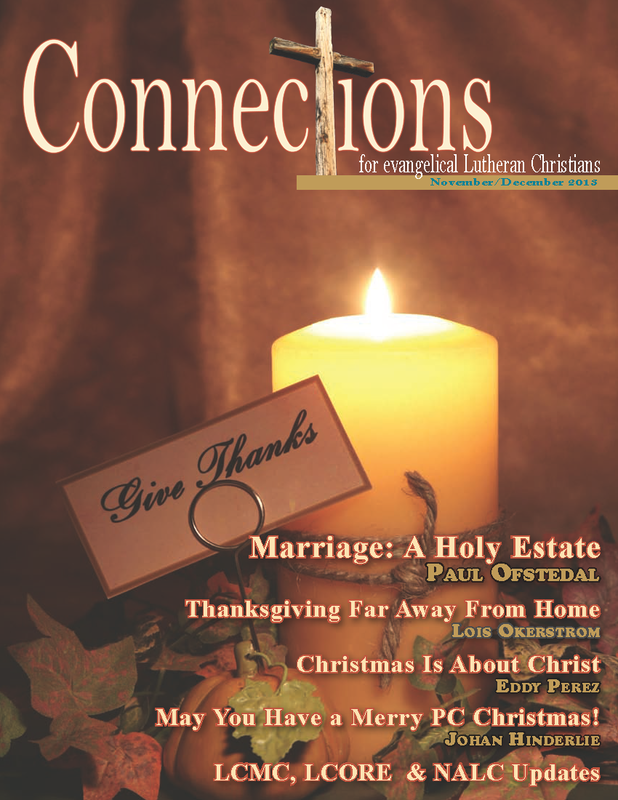 Articles and features are contributed by individuals and ministries of LCMC, NALC, CALC, Lutheran Core and other evangelical Lutherans from congregations across North America. 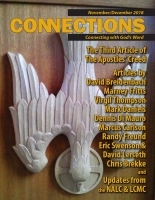 Connections is published six times a year. 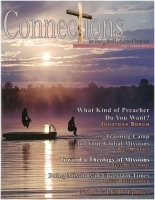 Editor: Pastor Mark Ryman. 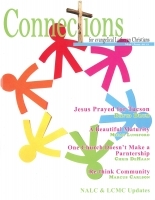 For information on congregational/group orders, click HERE.